Colorimeters allow you to easily take readings directly in the field for multiple parameters. YSI offers tablet, powder and liquid reagents. Several YSI reagents follow EPA approved methods. Our powder pack reagents are also 37% larger than other brands and the easy to open pouches have a pre-tear notch. In addition, they have angled corners so no reagent stays in the pouch. Some of the reagents can also be used in other manufacturer's instruments. 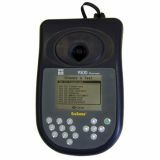 The pHotoFlex line of colorimeters is the newest addition to YSI's full range of colorimeters. 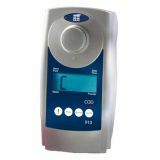 These rugged, waterproof, multiparameter colorimeters are ideal for laboratory and field testing. If you are interested in measuring chlorine or COD only, you might be interested in our single parameter colorimeters, YSI 900 Chlorine Colorimeter and YSI 910 COD. The YSI 910 COD colorimeter is ideal for any application. This portable instrument allows you to easily take readings for COD. 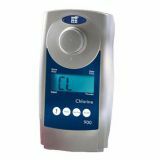 The YSI 900 Free and Total chlorine colorimeter is ideal for any application. 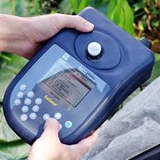 This portable instrument allows you to easily take readings directly in the field or lab.